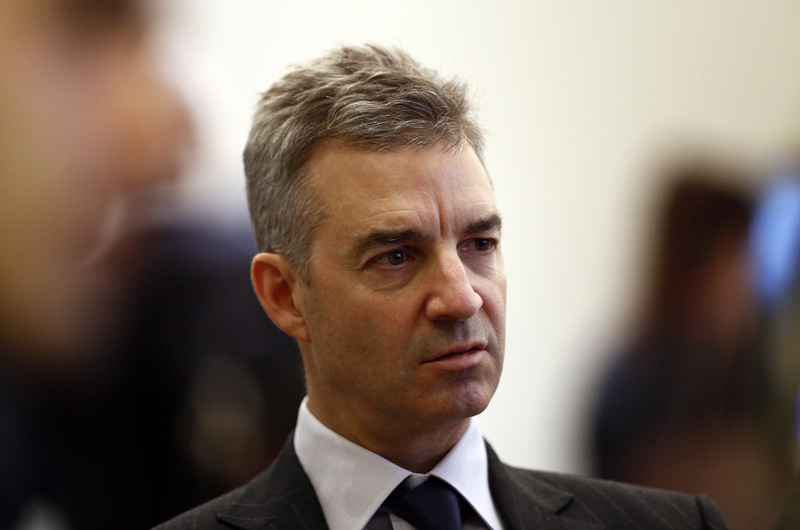 Activist investor Daniel Loeb is proving determination can pay off, even in Japan. After failing to win major changes from Sony Corp., he picked an even more unlikely target in Fanuc Corp. It was a surprise then on Monday when the secretive industrial-robot maker agreed to return more cash to shareholders, just as Loeb had requested. It is an example of how global investors are starting to get more of Japan Inc.’s $1.9 trillion cash hoard. Loeb’s Fanuc campaign was partly motivated by what he called the “new zeitgeist” in Japan, ushered in by monetary stimulus and promises of corporate reforms from Prime Minister Shinzo Abe. Fanuc’s decision to double its dividend payout may be just the start of changes to the country’s corporate culture. Fanuc jumped as much as 6.6 percent Tuesday morning in Tokyo trading. While Loeb has not disclosed how much of Fanuc he controls, the company’s share price has surged 42 percent since he announced a stake in a Feb. 9 letter. The company added about $17 billion of market value in the period. Japan’s cash pile has climbed to near a record as companies have held back from larger rises in wages and investing in Japan, where an aging, shrinking population is holding down growth. At the same time, a weaker yen and fiscal stimulus under “Abenomics” have allowed the country’s biggest global exporters to post record profit. Corporate cash and deposits increased 4.3 percent from a year earlier to ¥231 trillion at the end of December, close to last March’s all-time high of ¥233 trillion, according to Bank of Japan data. The yen’s decline erodes the value of assets held in the country’s currency. Fanuc’s cash, equivalents and short-term investments stood at ¥991 billion as of March 31, 20 percent more than a year earlier and almost double the 2010 level. The robot maker has a reputation for being standoffish with shareholders. President Yoshiharu Inaba has rarely met investors and, unlike most other chiefs of large Japanese companies, he does not give briefings in Tokyo or Osaka. That is changing, said Mitsushige Akino, an executive officer at Ichiyoshi Asset Management Co. in Tokyo. Fanuc’s dividend payout ratio will be 60 percent starting in the year ended March 31, compared with 30 percent for the previous year, the company said Monday in a statement. “This is a major positive surprise, as it exceeds our expectation for the dividend payout ratio to increase to 50 percent,” Yuichiro Isayama and Yuki Kawanishi, analysts at Goldman Sachs, wrote in a note to clients. 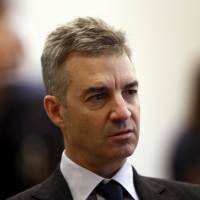 Loeb, who made his name and fortune by shaming U.S. corporate executives into quitting or changing tack, said he tried a softer approach in Japan. In an email Monday, he declined to comment about Fanuc’s decision to raise payouts. The aggregate dividend payout ratio for companies on the Nikkei 225 Stock Average stood at 29 percent at the end of last year, 38 percent for the Hang Seng Index, 42 percent for the S&P 500, and 62 percent for the Euro Stoxx 50. Merner of Atlantis said he expects some companies were just waiting for others to lead the way on sharing more cash with shareholders. “In Japan, if there are a few examples, people will follow,” Merner said.